When you first pick up a BlackBerry with a trackball, it makes you wonder why more phones or PDAs don’t have them. However, after a bit of use, the trackball can become one of the most infuriating things about your BlackBerry. In my years as a technician, I saw more BlackBerry trackball issues than any other single phone issue. The good news is that most of the issues can be corrected by either a bit of cleaning or replacing the trackball. The trackballs can be purchased online, though most carriers will replace yours for free if you take the phone in to them for service. For some models, like the Pearl and Curve, you can replace the trackball without even taking the phone apart, though on other models you will need a T4 or T6 screwdriver to get the phone open. If you don’t have access to a replacement trackball, or want a temporary solution until you take the phone in for service, there are some software settings that can help fix sluggishness in the trackball. If you increase the trackball sensitivity settings, your trackball might start responding again. Since you need the trackball to change some of these options, this will not work if your trackball isn’t responding at all. It is meant to help trackballs that are sluggish or jumpy. Go into “Applications" on your BlackBerry and then choose “Options." Scroll down to “Screen/Keyboard" and press the trackball. 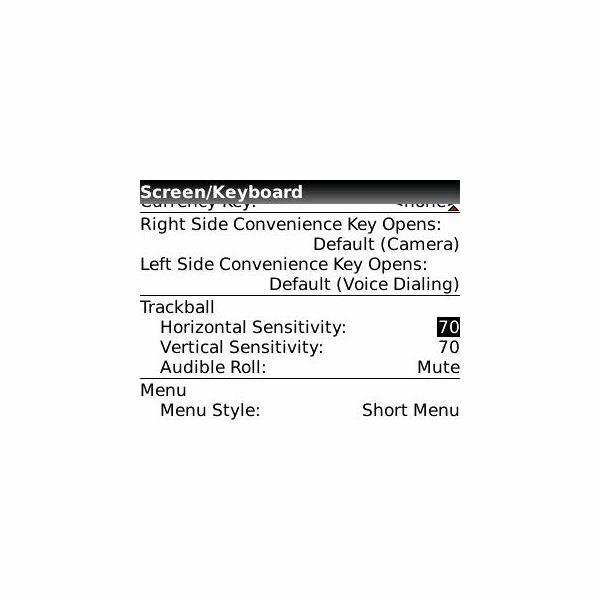 You will now see a long list of screen and keyboard options, so scroll down to the trackball section. Both the “Horizontal Sensitivity" and “Vertical Sensitivity" should be set to 70. Click on the “70"s and change them to “100"s. Test the trackball out and see if it is working better. This isn’t a permanent fix, if the trackball started to go bad, it will go out eventually, but this can give you a few extra days of use. Trackball maintenance is easiest on BlackBerry Pearls, Curves and 88xx models, since the trackball and its housing can be removed without opening the phone. The trackball and housing is the same for these three models, so you can interchange them if you need to. Note that RIM doesn’t support doing this yourself, so if you are worried about your warranty status, take your BlackBerry in for service instead of trying to repair it yourself. 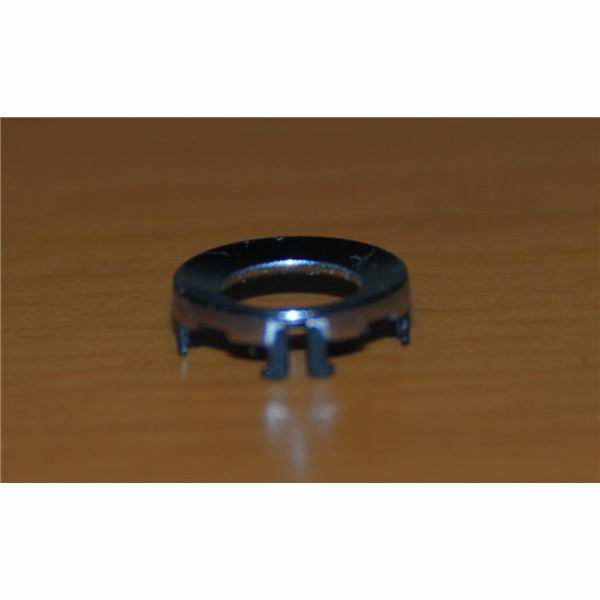 Take a small flathead screwdriver and place it between the silver ring around the trackball and the BlackBerry key. If you don’t have a screwdriver, any small, flat object will do. Push out on the screwdriver to pop that side of the trackball housing out of place. Now place your screwdriver on the other side of the silver ring and do that same thing. You can now pull the housing and the trackball out of the phone. 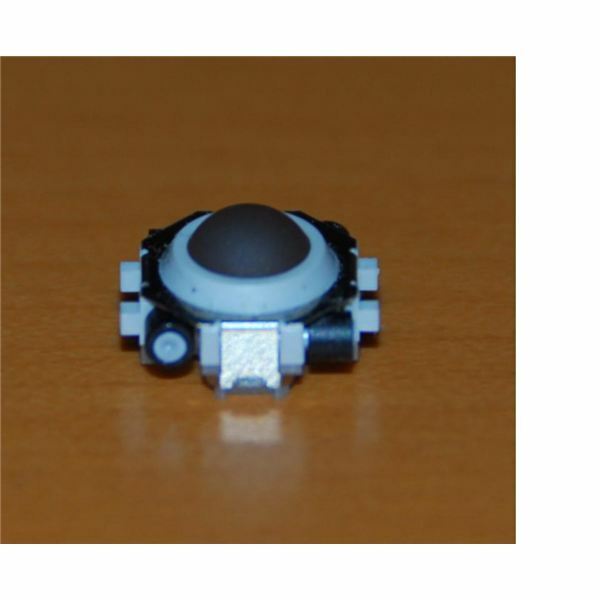 If you are just cleaning the trackball and control board, and not replacing the trackball, you need to be careful when you remove the housing since you can break the tongs that lock it into place. Pull the housing as straight up as possible, since pulling it up by one side can snap the tongs on the other. If you do break the housing, you may need to replace it in order for it to lock back into the BlackBerry. Use a small brush or a dry cloth to clean off the trackball and the contacts that you can now see inside the hole where the trackball goes. For the best cleaning results, use a small brush and isopropyl alcohol (It needs to be at least 95% alcohol, preferably 98% or higher) to clean the circuit board. Place the trackball back in the cavity, use the new trackball if you are replacing a bad one. Position it so that the four plastic tabs are pointing to the right and left. It will slide right in. Place the plastic housing over the trackball, the tongs should be located to the left, bottom and right. Push down on the housing to snap it in place. If you cleaned the trackball and it is still not working, replacing the trackball is the next step. If you replaced the trackball and it is still not working, the phone will probably need to be replaced. BlackBerry models like the Tour, Bold and 8350i do not have trackballs that can be removed from the outside. You have to open them up to get to the trackball. The process of opening the phones is a bit different for each model, but it will require a T6 or T4 screwdriver (Hex-head). If you are opening a BlackBerry, it’s a good idea to have compressed air handy, since the exposed screen will likely get dirt on it and need to be cleaned before you put the device back together. If you don’t have any compressed air, you can try wiping the dirt off with a dry cloth. The trackball on the Tour and Bold will fit into the inside half of the front cover. The trackball on the 8350i is part of the keypad assembly and cannot be removed without breaking the housing.